This is one of the times when blogging about electronic dance music is awesome. Not to say it&apos;s bad otherwise - there are definitely worse jobs. Still, it can be a bit of a slog sometimes with little in the way of encouragement. In this case, it&apos;s a pleasure, because I get to premiere an EP from one of my favourite global bass dance music acts. Not only that, but I have been able to get for you, our Do Androids Dance readers, a limited time free download of one of the tracks from the EP. Unless you didn&apos;t read the title when you clicked on this link, you know it&apos;s South Rakkas Crew. Headed by record producer/dj Dennis "D-Rakkas" Shaw, they are the act that is pretty much responsible for the whole dancehall/EDM music hybrid (think Major Lazer). Their new EP "Inatwist/Champagne" released through Overcooked Records dropped today exclusively on Beatport, with a wider release on March 10. Through an agreement with D-Rakkas and the label we have been given the right to give out one of the tracks from this EP, "Champagne," for free. It&apos;s a great party starter with a dembow (dare I say moombahton?) beat that is sure to get everyone behaving badly and making poor decisions. 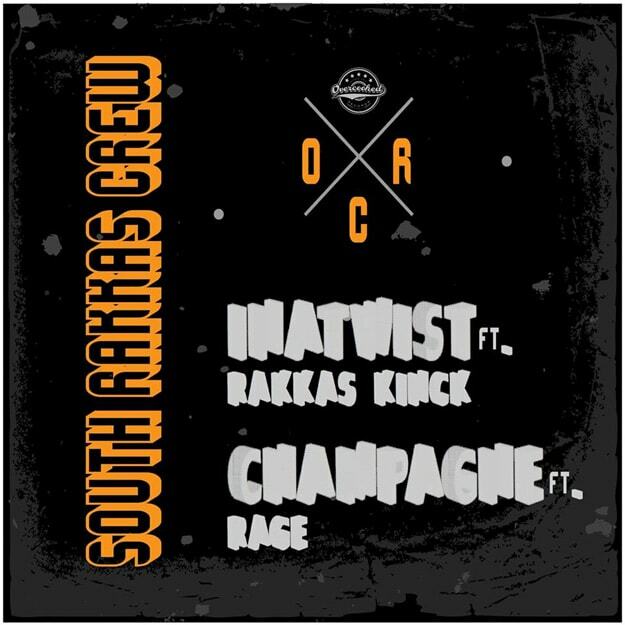 DOWNLOAD SOUTH RAKKAS CREW FT. RAGE - "CHAMPAGNE"